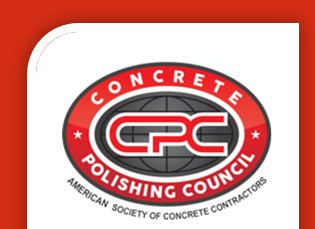 SECTION ________: INTEGRAL COLORED CONCRETE to be installed by Bay Area Concretes, Inc. The Contractor for integral colored concrete paving shall provide conclusive proof that he/she is qualified to and has previously produced integral colored paving and can comply with the provisions specified herein and shown on the plans. Proof shall be in three high quality installations, similar in scope to that specified herein, and located within a 25 mile radius of the City. Evidence that the Contractor is qualified to comply with the requirements specified herein shall be submitted to and be subject to the approval of the Cal Trans, the Architect of Record, and City Officials. Finish of Integral colored concrete paving shall be: Smooth trowel with a light sandblasted final finish. Materials: concrete, Bomanite or QC integral color. Place concrete with high quality color-consistent integral color. Apply Hand Scored Crack Control Joints into the fresh concrete surface. Apply a light sandblasted final finish effect on all exposed surface finish areas. Coat with Optional clear acrylic sealers a minimum of 28 days after concrete. Concrete shall have a minimum compressive strength of 3000 psi. Portland cement shall conform to ASTM C 150, Type I, II, or IV. Aggregate shall conform to ASTM C33 and shall be minus 3/8 inch. Aggregate size of 1″ maximum is permissible and recommended in some applications. Mix water shall be fresh, clean and potable. An air-entraining agent conforming to ASTM C260 and/or a normal set or retarded-set water reducing admixture conforming to ASTM C 494 may be used. Calcium chloride shall not be permitted in the mix. Concrete shall be___ inch(s) thick in Banding paving. Color shall be ready-to-use, Bomanite or QC Integral color or equal, a streak-free integration of pigments, conditioning and dispersing agents produced by Bomanite Corporation or QC Construction Products, Madera, Ca. The integral colored concrete mix shall be placed, screeded to the proper grade and wood Floated to a uniform surface in the normal manner, smooth hard trowel surface finish. Add no water to surface during finishing or after job is done. Cure with QC “Clear Cure” curing compound or equal, protect surface during construction. Apply a light sandblasted final surface finish to all exposed architectural surfaces. Seal with optional acrylic sealers 28 days later.